Fully equipped mobile home with large fridge, kettle, coffee maker, freezer, master bedroom, children bedroom, shower, toilet and sink, parasol, garden furniture (6 garden chairs and table). 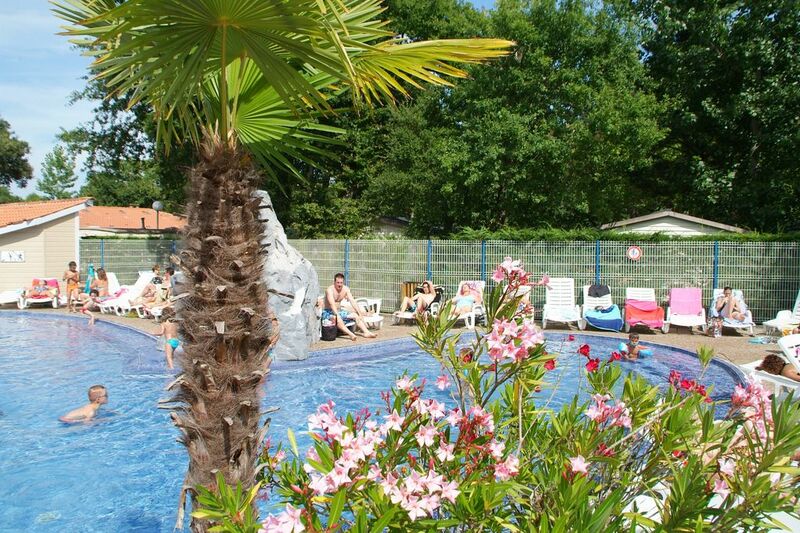 • Indoor heated pool, outdoor swimming pool, wading pool, solarium, free sun loungers. • Children club of 5 and 12 years old. • Tennis court, basketball, soccer and volleyball. • Grilling can be sure to appropriate agencies. • Canoeing, Small train to the sea (not free). Dense forests and extensive beaches. When the wind moves inland, there are quite a stir, but even the smallest children can safely play on the wide sandy beach. Vieux-Boucau with its fine shops, boutiques and terraces is only a mile from the campsite. Not far away is the lake Soustons with a Tropical Park for the children. Of course, the cities of Dax and Biarritz with its boulevards and stylish buildings not far away and well worth a visit. We highly recommend a tour along the river Adour from Dax to Biarritz. A little further away is the city of Pau and St-Jean-Pied-de-Port at the foot of the Pyrenees is really nice. Here the pilgrims take to walk together through the mountains to Santiago de Compostela. Vieux Boucau beach on first 5 KM, Biarritz, beautiful inland seas, bicycle routes.